At the turn of the millennium, after decades of struggle, the Palestinian Liberation Organization was in a shambles. In 2005, a reconciliation conference held in Cairo seemed to offer some hope for the revitalisation of the organisation, but Hamas s victory in the 2006 Palestinian Authority elections caught the PLO off-guard. Conflicts and tensions exploded as the PLO tried to claw back the power it had lost. Amid calls for the organisation to renew itself or make way for a new group, the al-aytouna Centre for Studies and Consultations convened a conference in Beirut to discuss the PLO. Representatives of the PLO s main factions joined leaders from Hamas, Islamic Jihad, as well as activists and academics, to discuss what they could learn from the past, and try to forge some consensus on how to take the Palestinian struggle forward. Critical Appraisals from the Inside documents the papers and debates presented at the conference. 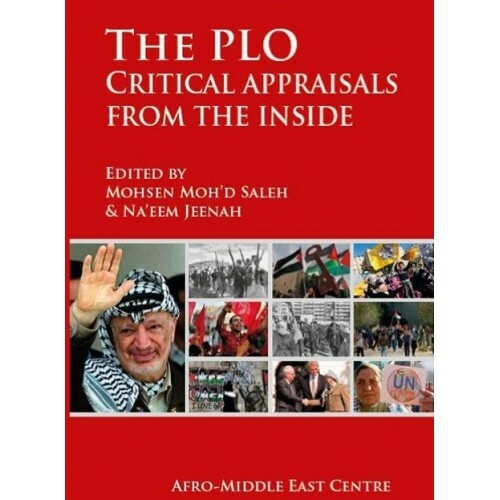 Originally published in Arabic, the book provides a fascinating window on Palestinians unique understandings of the history of their struggle, and of the PLO. 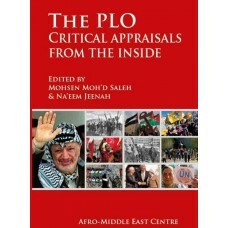 It offers an insider s view on issues such as national unity, the intricate nature of relations between Palestinians in the diaspora and those in the Occupied Territory, the fragmented nature of the Arab condition, as well as the impact of the meddling by Arab nations and western powers in Palestinian affairs. The book was originally published in Arabic by the Beirut-based Al-Zaytouna Centre for Studies and Consultations, and was translated into English and republished by the Afro-Middle East Centre. Dr Mohsen Saleh is the General Manager of Al-Zaytouna Centre for Studies and Consultations. He is editor-in-chief of the influential annual Palestinian Strategic Report, former head of the Department of History and Civilization at the International Islamic University Malaysia (IIUM) and former executive manager of the Middle East Studies Centre in Amman. He was awarded the Bait al-Maqdis (Jerusalem) award for Young Muslim Scholars in 1997 and the Excellent Teaching Award (College level) from IIUM in 2002. Dr Saleh is the author of numerous books, including Al-Qadiyyah al-Filastiniyyah: Khalfiyyatuha al-Tarikhiyyah wa Tatawwuratuha al-Mu asirah (Al-Zaytouna Centre for Studies and Consultations, 2012) and The Lost Course of the Palestinian Statehood (AlJazeera Centre for Studies, 2010). He has contributed chapters to several books, has edited or co-edited fifteen books and has published many articles in scholarly journals and magazines. Na eem Jeenah is the Executive Director of the Afro-Middle East Centre, a research institute based in Johannesburg, South Africa, that focuses on the Middle East and Africa. He has an MA in Religious Studies from the University of the Witwatersrand, with a dissertation entitled The emergence of Islamic feminisms in South Africa in the 1990s , and is currently working on his PhD thesis entitled Political Islam in South Africa and its contribution to a discourse of a fiqh of minorities . Na eem co-authored (with Shamima Shaikh) Journey of discovery: A South African Hajj (2002). His latest publication (as editor) is a book on Israel entitled Pretending democracy: Israel, an ethnocratic state, published by the Afro-Middle East Centre (2012). Na eem taught political science at the University of the Witwatersrand, and is a sought-after commentator on issues related to the Middle East, the Muslim world, Islam and South African politics.